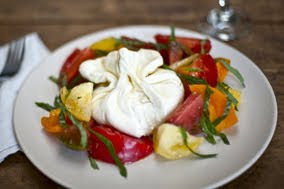 "Where mozzarella is good, burrata is better"
"We must believe in luck. For how else can we explain the success of those we don't like? " Herald Sun ~ Food fight: Greek v Roman?